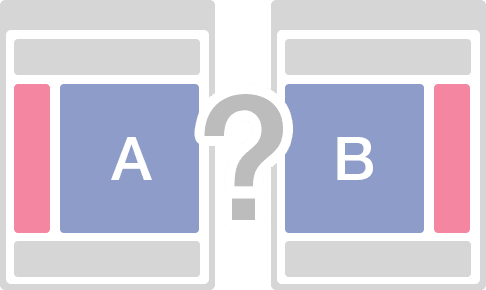 A/B testing (also known as split testing or bucket testing) is a simple process to figure out the better way of doing things. It can apply to anything in life, from cooking to taking a particular route to your office, playing a game to having an argument with your beloved. 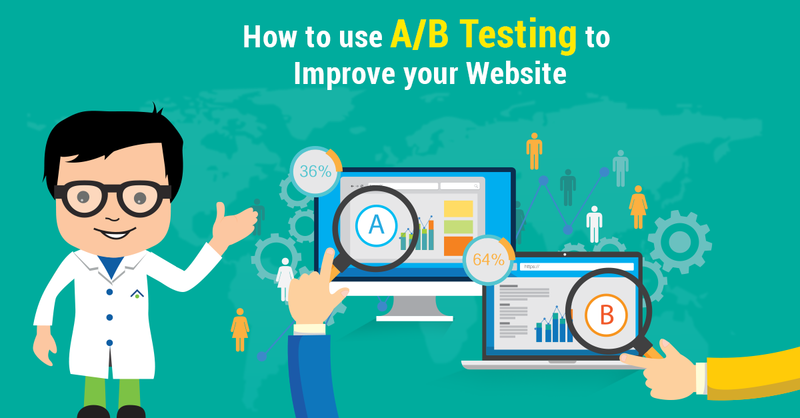 When A/B testing is applied to your website or landing page, it simply means a method to determine what works better on your page. You’ve come up with a heading for your landing page. Your business partner or someone in your team has come up with another heading. The two are not the same, but they convey the same message. You are torn between the two and cannot decide. Well, don’t let your authority rule out the other suggestion. Test both the headings on the landing page and see the conversion and impact. Whichever heading has a better impact, keep it and discard the other one. These differences can be anything from a new background colour or different font face to more complex differences like a whole new landing page design. 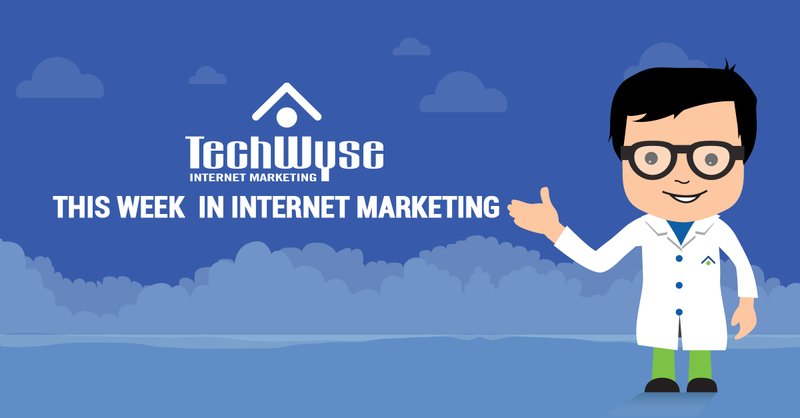 Likewise, you can test the position of where you would place the ‘welcome’ line, the ‘call to action’ lines, the short snippets listing out the unique selling points, social media widgets, and any other tool, design element, or content that your landing page would have. You would need two different solutions and you must put them against each other to determine the best way ahead. If you have more than two solutions, you must run them through A/B testing and then put the winner against the third, fourth or whatever number of solutions you have. The reason why A/B testing only factors i two solutions or possibilities at a time is not because of nomenclature, but to make the whole process simple. The objective here is to have a clear winner. Very simply, it allows you to make data-based decisions instead of basing those same decisions on emotion or personal opinion. Instead of just putting up a landing page or website and hoping for the best, you can immediately test two separate options, crunch the numbers, and make your decision afterwards. 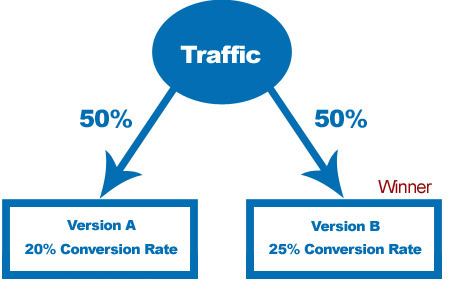 Improving conversion rates is one of the biggest requests we get from clients looking for a new website and the only way to truly know what your customers in your industry are looking for (with data to back it up) is to try A/B testing. When we talk about anything that is more creative and thus discretionary, there is no preset rule of law that will dictate the exact approach or outcome. There are infinite ways to get it wrong and only a few ways to get it right. The only way to figure out the right approaches and thus the desired outcomes is to run tests. When everything is in the realm of ambiguity, you cannot be specific even if you want to. The only resort is to see it for real. You can easily look at 2 separate options and feel very confident that one of them will be the best option, but will that be the case after you test it and have the numbers to back it up? There are many ways in which you can try split testing. It doesn’t need to be a full webpage re-design or for you to create 2 new landing pages to test against each other. Reduce the number of steps it takes for a user to complete a lead or sale. 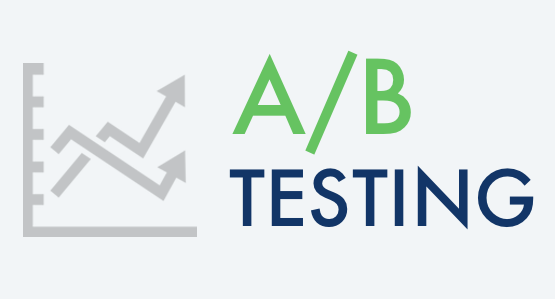 A/B testing will allow you to know what actually works in the real world and what doesn’t. Lay the speculations to rest and make informed decisions about everything on your website.